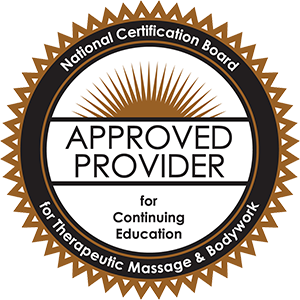 Welcome to the Green Mountain Shen & Bioenergetics – Center for Growth & Self-Awarenes, an approved provider of continuing education by the National Certification Board for Therapeutic Massage & Bodywork. We are happy to introduce you to what we offer and hope that you find the following information useful. The mission of Green Mountain Shen & Bioenergetics is to offer personal sessions and group education with the goal of creating the opportunity for further growth and fulfillment, helping each individual to achieve groundedness, live a vibrant life, and be fully aware and awake to the beauty of life...truly being in the here and now. Our commitment is to communicate openly, to encourage self-sustainability, and practice as therapists and teachers with integrity in every aspect of our lives, every day. At the heart of our Center is Shen Sensitivity Training™, originated in Parma, Italy and brought to the United States by Wassim Nehme. These techniques encompass an exclusive/unique fusion of both Eastern and Western energetic philosophies of the body. Our offerings at the Center fall into four categories: Private Sessions; Classes for All; Continuing Education Courses for Massage Therapists and Corporate Workshops.